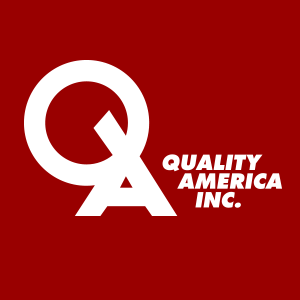 Company | Quality America Inc. Since 1982: the art and science to improve your bottom line. Quality America offers Statistical Process Control software, as well as training materials for Lean Six Sigma, Quality Management and SPC. We embrace a customer-driven approach, and lead in many software innovations, continually seeking ways to provide our customers with the best and most affordable solutions. Quality America has provided SPC software and lean six sigma training products and services to tens of thousands of companies in over 25 countries. Since its inception, Quality America has prided itself on its quality products and services. We offer a 30-day satisfaction guarantee on all software, online training and books. Should you find that one of our products does not meet your needs within the first 30 days after purchase, please contact us for a Return Authorization Number. At that time, you will be asked the reason for the return, which is important for our product development and marketing functions. Return deliveries will only be accepted within two weeks of authorization and with the Return Authorization Number marked clearly on the shipping package. All returned books must be in saleable condition; software must be completely removed from your hard drive or other physical locations. We actively seek new product and process improvement opportunities from discussions with existing and potential clients. If you ever have a suggestion to improve our products or services, please contact us. Most suggestions are incorporated within two months of initiation, providing a real-time solution for our existing client base, as well as the opportunity to expand our market. Our products undergo a series of peer and technical reviews before each release, where each and every change is reviewed and tested for conformance to the design, as well as unintended interaction with other features. Each of the calculations in the software has been methodically verified for accuracy. We continuously track customer problems and suggestions, and integrate these into timely development solutions. These methods have been an institutionalized part of our culture for over twenty five years. Our customers consistently rate our software an exceptional value for ease of use and functionality. Our free technical support and development efforts receive the highest ratings for rapidly responding to customer queries; assisting in statistical interpretation and analysis; and thoughtful involvement of customers in implementing improvement opportunities. To contact sales and technical support, please use the Contact Us link from the product-specific page listed in the top menu, or use the generic form on this page. The product-specific form will provide the quickest response, as your inquiry will be forwarded to the most appropriate personnel. Independence Day (Jul 4), Labor Day (Sep 3), Thanksgiving (Nov 22-23), Christmas (December 24-25), New Years (January 1, 2018).